You never know when or where a photograph will show up. Halloween was not THAT long ago and look what surfaces! 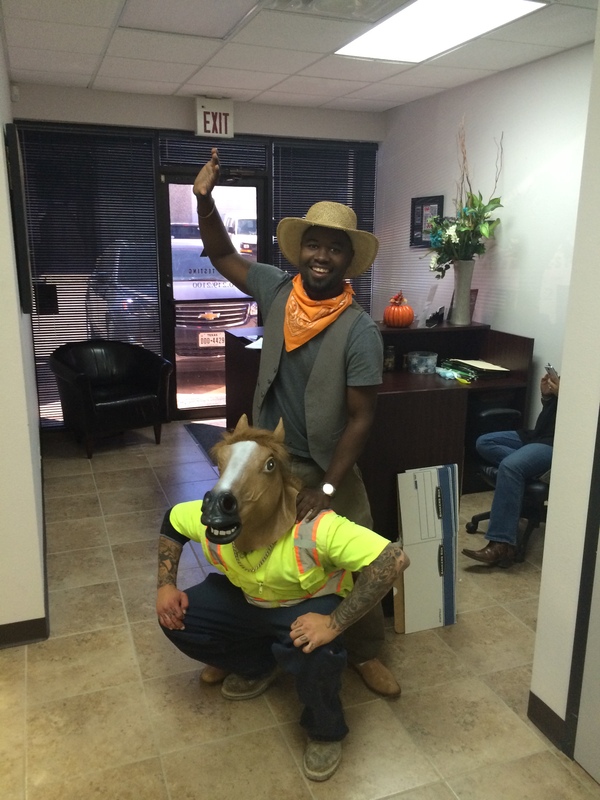 This year our estimator Derrick Willis and technician Sergio Perez set the bar high. Our guess is that you will never think about one of Derrick’s proposals the same way again! Sergio – thanks for new ideas on safety gear – and being the good sport in all this! Congratulations are in order for the winner of final installment in the four-part series of the 2013 Where It All Begins Awards. 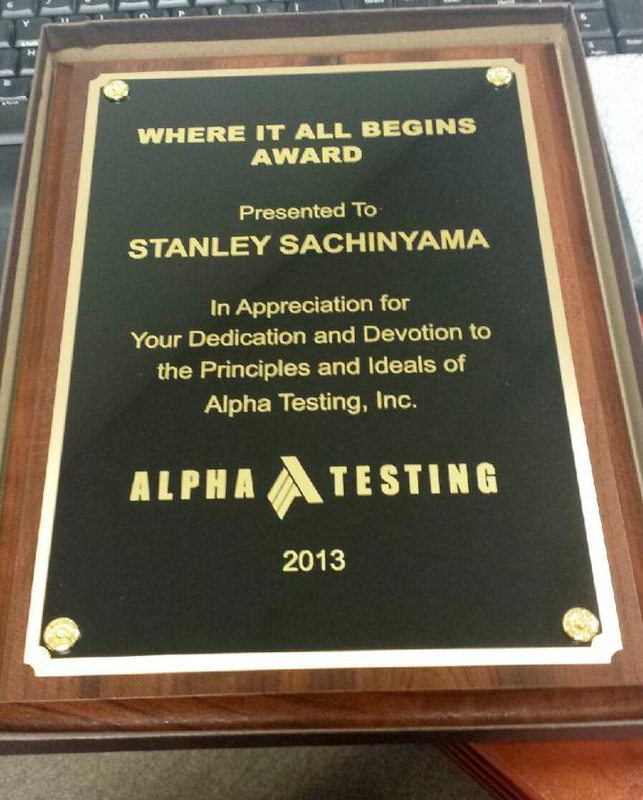 And the Dallas office award goes to Stanley Sachinyama for his dedication and devotion to the principles and ideals of Alpha Testing. Stanley joined Alpha in November 2007, and from day one has embraced all that is Alpha. 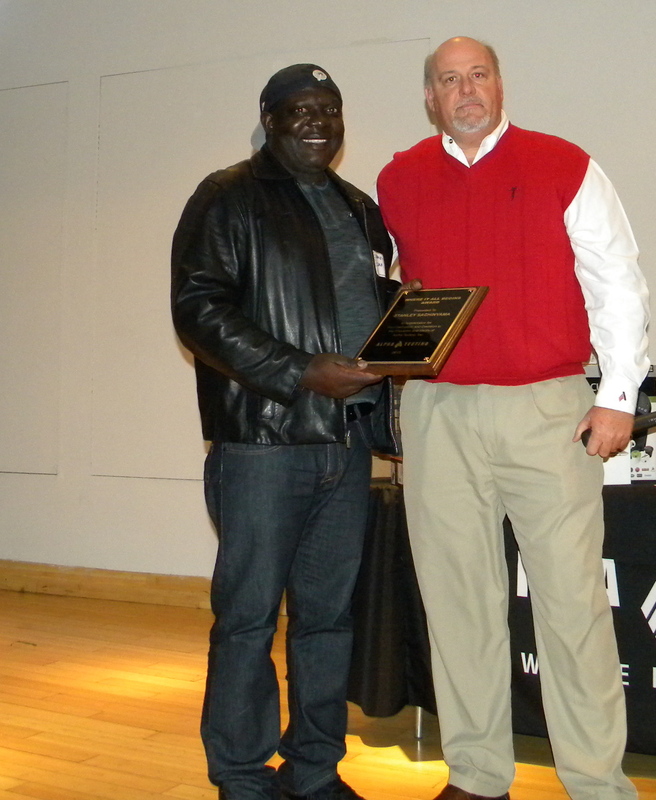 “Stanley has gone above and beyond in his service to our clients and to his coworkers” says Ken Combs, Vice President. Thank you again, Stanley! See Fort Worth’s recipient here, San Antonio’s recipient here, and Houston’s recipient here.